Transhumanism is one of the most pressing issues of our time and of future scientific discourse. If you’re unfamiliar with the concept, allow me to briefly introduce you. All of human technology seems to be converging into one point, which is referred to as a singularity. 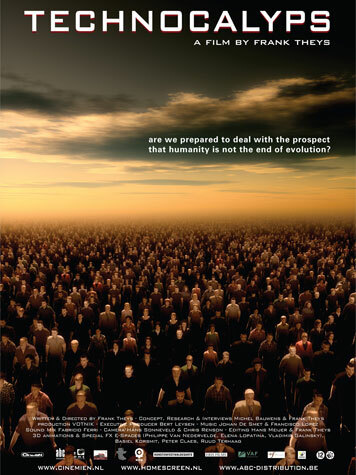 A three part documentary, Technocalyps, serves as a good introduction regarding recent advances in technology, but keep in mind that this documentary is already nearing ten years old. The technology introduced in this film is already a decade old, nevertheless questions regarding ethics, benefits and reality remain to be answered. We’ll be looking at the first part of the documentary in this piece. Computing technology continues to advance exponentially, and questions about where it is going are demanded. If computing power and information double multiple times per year, the question that begs to be asked is “how long until we create a computer with half of the computing power of a human brain.” The next logical step seems fairly obvious. But questions regarding computers of equal intelligence to human beings, but with exponential growth, are only the tip of the iceberg. Another consideration is how technology has been merging with humans, to play a more integral role in the human condition. In the time that this documentary was released, we have all moved from one era of personal computing and into another. That is to say that individual computers for each person in the home and work place, which was not too long ago a new novelty, has been engulfed by people possessing many computers that travel with them in the form of smart phones and tablets. Another era that connects us even more to the realm of the virtual seems to be nearing as well, with novel inventions like Google Glass, and Microsoft’s HoloLens. The intervals of time between these steps in advancement seem to be getting smaller, and the advancements more impressive. We can speculate on how long till computers merge entirely with humans, but the fact is that they’re already merging with us in such a way as to replace lost biological functions in some disabled people. It doesn’t seem like much of a stretch to imagine that they will start enhancing human functions, rather than simply replacing functions that have been lost. Frontiers in genetic engineering and bio mechanics completely blow the prospects of merging with machine out of the water, however. Imagine a world where parents can make a decision about whether their children will be much more strong, intelligent and healthy than children whose parents did not want to play God with their offspring’s DNA. This is just another prospect which doesn’t seem all that science fictiony when you consider advances in genetic technology. Doing away with conditions like Huntington’s or cystic fibrosis seem to be a no brainer, but where are we going to draw the line in regards to genetic manipulation? Furthermore, if we do draw a line in the sand, how long until we decide there are more benefits on the other side of that line that we need to explore. My guess is that the frontier will always be moving as we continue to develop new technologies, and it appears that many people who are also deeply involved in the advancement of that frontier would agree with me. Part one of Technocalyps serves as an introduction to all of these concepts, and more concepts, such as nanotechnology and robotics. It is a brief visual essay into breakthrough sciences with the common aim of exceeding our natural limitations, in a brave new world that blurs science fiction and science reality. Technocalyps received a 7.4 rating on IMDB. Follow The Social Y on WordPress or follow us on Facebook to keep updated for the review of part two of Technocalyps.